15' Hobby Horse can be a LED static display or LED animated display. 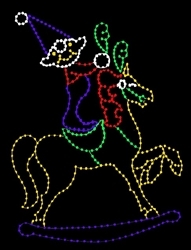 The 5' Elf standing on the horse is a delightful display for the young and adults alike. 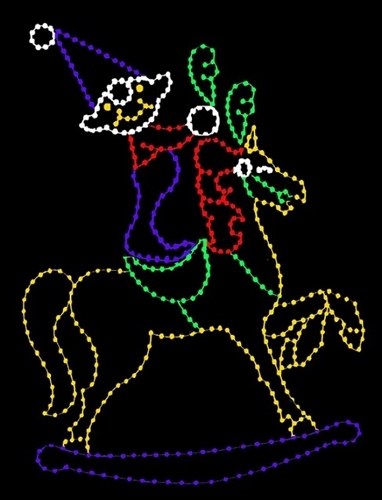 With animation, the Horse rocks back and forth. This is a giant display with amazing effects and colored LED bulbs that shine brightly and are rated for 80,000 hours. Add this to your current scene or it can be a stand alone display. The display is warranted for 5 seasons and the LED bulbs are warranted for 3 seasons. Call us for shipping rates.